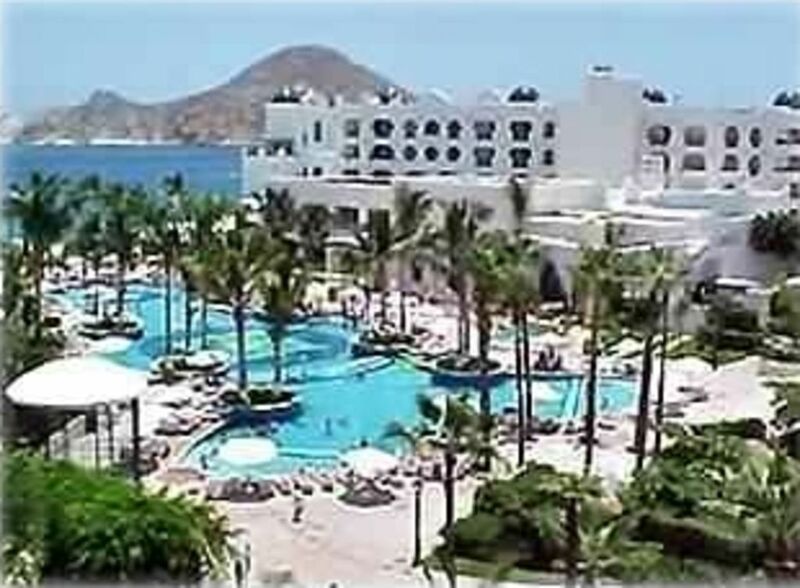 Pueblo Bonito Rose is a Gold Crown [Five Star] Luxury Resort and Spa... located on Medano Beach, the only 'safe swimming beach' in the entire Los Cabos corridor. It is one of the finest resorts in the world!!! It has a beautiful view of the Arch that marks the tip of the Magnificent Baja Peninsula, also a short 500-meter walk into the quaint town of Cabo San Lucas, the marina with its shops, boutiques, bars, nightclubs and restaurants! The Rose has one of the top-rated European Health Spas in Latin America [25,000 square feet] with a world-class fitness complex, thermal mud baths, saunas, Jacuzzi, steam room, and tennis court. This International Health Center will exceed the requirements of the most discerning of clientele and the professional masseuse will relieve any stress left over from back home. The Rose has fine French and Mediterranean/Italian on-site restaurants with seafood and Mexican restaurants next door at the Pueblo Bonito Los Cabos. The food at all 4 restaurants is some of the best in the world!!! This fantastic resort is far enough from town for peace and quiet, but also close enough to town for fun and shopping. A spacious 1063 square foot 2 bathroom, executive suite, with a huge balcony overlooking beautiful, large, free-formed pool, beautiful palm trees, exotic tropical birds in two large cages, the sparkling, blue, transparent water of the Sea of Cortez and the clean, white, sandy, safe, swimming beach known as El Medano. The balcony has a table and chairs and sunloungers. There is also a formal dining table, couch and chairs in the living room. There is a huge ornamental pool containing black and white swans and Japanese crane birds surrounded by statues of Roman emperors and a huge statue of Posiedon. Pueblo Bonito Blanco ajoins the Pueblo Bonito Rose and both resorts share the facilities - including 4 restaurants and 2 pools. Cabo is known for its world-class marlin fishing, great Scuba diving, Gray whale watching, excellent weather, golf courses and of course the ultimate relaxing holiday. This is the 3rd year we’ve stayed at the Rose’. What a beautiful place. Staff is friendly and knowedgable. Room, pool areas, beach, and walkways very clean. Glad you enjoyed your stay at the Rose. Thanks for the positive feedback. I am looking for a one bedroom at Sunset for week 51. Is this available?